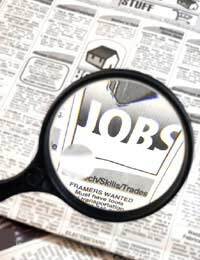 Unemployment is an issue that is affecting a steadily growing number of people. The long period of relatively low unemployment enjoyed in this country was rudely interrupted by the recession, and redundancy is now on the minds of many. Very few sectors are immune from the effects of the downturn, and it is therefore important for everybody to understand the help and benefits available to them in the event that they become unemployed. The main unemployment benefit is Jobseekers Allowance (JSA) - what most of us know as the dole. JSA is not granted to everyone who is out of work. Rather, you must be under the state pension age and actively seeking work. The official signing off your JSA at the Jobcentre will try to ascertain whether or not you are actually looking. However, it is possible to claim JSA while still doing some work; it is available to all those doing less than 16 hours work per week. Jobseekers Allowance is available in either contribution-based or income-based form. Contribution-based JSA depends on the National Insurance payments that you have made over the course of the previous two years. If you have worked full-time and made your full NI contributions for the previous two years, you will receive contribution-based JSA for the full period - currently set at 182 days. Contribution-based JSA is paid at a rate of £51.85 per week for those aged 16-24, and £65.45 for those aged over 25. Income-based JSA is paid to those who have not made National Insurance contributions. It is only available to those who do not have savings exceeding £16,000, and your entitlement will be reduced if your savings exceed £6,000. Your payments will also be cut if you have any income from part-time employment, or if your partner works more than 24 hours per week. Income-based JSA is paid at a rate of £65.45 per week if you are single, and £102.75 if you are in a couple. If you are unemployed because you are unable to work (for example because you are sick, a carer or a single parent), you may qualify for Income Support. This benefit is entirely means-tested, and is available to those aged between 16 and 59 with savings of less than £16,000. You must also be working less than 16 hours per week. You local Job Centre Plus will be able to advise you on how much you may be entitled to. Housing Benefit is available to those who need help paying their rent. Each area of the country has a fixed maximum level of Housing Benefit to which you might be entitled. This is reviewed monthly in line with rental price changes. Your circumstances will dictate what proportion of this figure you are entitled to. Again, you will not qualify if you have more than £16,000 in savings. There is a significant amount of help available to those who are unemployed; consecutive Budgets have seen increases in the rates of redundancy pay. If you find yourself unemployed, you should remember that there is no shame in claiming that to which you are entitled. You have been, or will be, a taxpayer, and the state is there to support you. Read more in our redundancy category. an you help me plsI had operation on my kidney followed by chest infection I then went profound deaf had cochlear implant after 6months was on ESA con based in support group was advised to return to work which I did had my hours cut to8 I just could not cope far to noisy in busy tearoom with implant so I gave my notice in also lost my ESA so now no job no ESAno income what do I live on now got bad anxiety depression help please can I reapply for ESA con based unable to work. I have been a self-employed taxi driver for the last 8 years, but but unfortunately two weeks ago I received a driving ban (for totting up 12 points in 3 years) for 6 months effectively taking away my entire livelihood! As I have been self-employed am I entitled to claim benefits? Is there an upper time limit to receiving Income Based JSA? I resigned my job and officially left 7/9/18 Will I be entitled to claim? Please could advise if employers are allowed to make your role redundant due to wanting to increase your hours? I work 90% hours and there is going to be a new manager starting and they are saying they need to increase to 100%. My working plan has been in place for several years with the old management. Is this OK or would this be unfair dismissal? Would like to know if my daughter can claim jobseekers allowance she came home in May from university as she had finished all of her studying. She has applied for jobs but hasn't gotanything as of yet, she has no income coming in, so myself and my husband keeps her at the moment but can'talways do this. You can check via the link here , which should tell you all you need to know. I have been unemployed for 2 months. I have started receiving JSA and local council has also made adjustment on my Council Tax Bill. I own house on mortgage. I phoned DWP and asked for the cost towards my mortgage. I have filled all the information when I made application for JSA. Now, they saying I will only qualify for the mortgage help in next 31 weeks. My mortgage company will not wait that long. By the next 31 weeks most likely my mortgage company will repossess my house.Is there any help I can get from DWP towards my mortgage.Your advice would be much appreciated. When you make a claim for benefits, you'll usually have to wait 39 weeks before your SMI starts. You can see more via the link here, which will help answer your question. I have been unemployed for 2 months. I have started receiving JSA and local council has also made adjustment on my Council Tax Bill. I own house on mortgage. I phoned DWP and asked for the cost towards my mortgage. I have filled all the information when I made application for JSA. Now, they saying I will only qualify for the mortgage help in next 31 weeks. My mortgage company will not wait that long. By the next 31 weeks most likely my mortgage company will repossess my house. Is there any help I can get from DWP towards my mortgage. Your advice would be much appreciated. I was made redundant after 17 years, 3 years ago now while I was on maternity leave. At the time I obviously got my redundancy & also maternity benefit. Directly after that I became very ill with cancer and was not in a position to work but did not claim or apply for anything. I am now trying to figure out what I might be entitled to claim support with as I have used up all my redundancy & savings. Luckily my partner works full time so that has taken the pressure off. I am looking to see if I can get help with going to university to get some further training. Any advice on what my steps should be to find out. My wife is being made redundant, she will be 63 , I am 66. I am still working 32 hours a week and also have my state pension coming in. She doesn’t get her state pension until she is 66. Does she sign on ? Will she get any unemployment money ? Our savings are about £5000. Other than unemployment pay is there anything else we could claim such as council tax reduction we are in band c.
@Dave - you might be able to claim Jobseekers if you are looking for work through the summer. Hi, I am going to be out of work for 8 weeks due to no work available. I’m a free lance teacher and will be off for the whole of the summer and an extra 2 weeks(8 weeks). Can I claim anything for these 8 weeks? Thanks. Dave. My daughter has been laid off for 8 weeks, she still has another job of 10 hrs a week,she claims nothing, can she get anything at all,anything would help? My son lost his job I December last year.he had never claimed benefits before in his life.He is now 58 and has used all his savings to live he now has no money left and has applied for housing benefits and job seekers allowance.the job seekers allowance has come through but not the housing benefit every time he is told that some thing is still outstanding then he gives them what they needed and when he goes back when it still has not come through he is told that they need something else.this has been going on for weeks in the meantime I am paying his rent and I'm a pensioner my self.how long does it take for housing benefits to come through in England.he did not know that he could claim benefits if he had under £16000 in the bank.he waited until he had no money before he claimed.is there a time limit to claiming these benefits. I am sorry to hear this. Your son should get back pay (from the time he registered) once the issues have been dealt with. This means he should be able to reimburse you the money owed. Unfortunately, your son would have to ask housing benefit directly if there is a time limit, as we have no knowledge regarding their administrative processes. My son lost his job I December last year .he had never claimed benefits before in his life. He is now 58 and has used all his savings to live he now has no money left and has applied for housing benefits and job seekers allowance.the job seekers allowance has come through but not the housing benefit every time he is told that some thing is still outstanding then he gives them what they needed and when he goes back when it still has not come through he is told that they need something else.this has been going on for weeks in the meantime I am paying his rent and I'm a pensioner my self.how long does it take for housing benefits to come through in England .he did not know that he could claim benefits if he had under £16000 in the bank .he waited until he had no money before he claimed .is there a time limit to claiming these benefits. My sister is currently on sick leave from work since October last year with no sign of improving and is contemplating resigning from her job after 28 years. Should she resign would she be entitled to any benefits eg Income Support or Unemployment Benefit? Her husband works full-time and are both UK residents. @The Roth - the problem with Jobseekers Allowance is that you have to be looking for a job. I'd give them a call because you might be allowed it if you say you are looking for some interim work. I worked in the UK since January 2005 until February 2015 - I had to leave UK and return to Slovakia as grandparents got sick. Applied for unemployment benefits in Slovakia, waited for 6 months to only find out, I was meant to apply in the UK. Can I still retrospectively apply for the money lost in 2015? THANK YOU FOR ANY HELP!!! You would not be able to apply retrospectively. Claims only begin from the date of registration. If you did not register to claim when you finished work - then you would not be able to now. Also, you would have to have been living in the UK at the time in order to have been eligible to claim. The gov.uk link here , should tell you all you need to know. You have to register unemployed in order to officially receive state benefits. Hiya,ive been out of the country for the past 6 years studying medicine abroad. I recently found out I am pregnant and my mum wants nothing to do with me or the baby and shes told me to get out of the house. I am now homeless and pregnant. Will I get assistance from the state? You don't say whether you are living in the UK or abroad still. If you have just returned to the UK much depends upon how long you have been back, please see link here , which should tell you all you need to know.